In this day and age, our bodies are exposed to countless toxins everyday ... in the air we breathe, the food we eat, the clothes we wear (especially chemical laden, new clothing), the medications we are prescribed, the personal care products many use on a daily basis and, of course, in the water we drink and bathe in. All of these toxins, if allowed to accumulate in the body, may combine to reach a tipping point - a point where they create irritation and inflammation, affecting many body systems and preventing them from functioning properly. And, if our systems are out of whack, then we are certainly more susceptible to sickness, illness and disease. So, let's back up ... back before the tipping point. 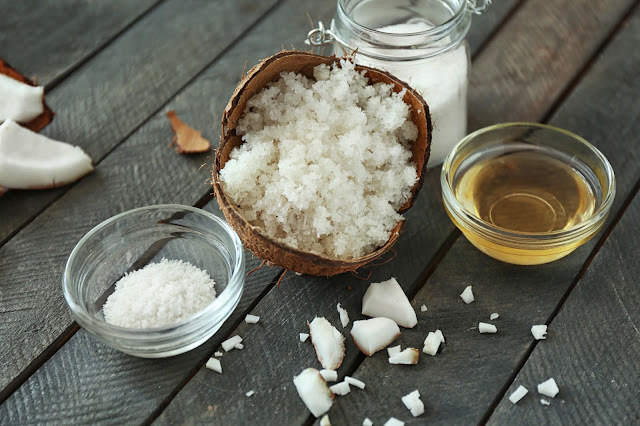 To support overall wellness, there is a pure and simple, self-care therapy we can easily perform to help facilitate and boost our body's natural detoxification system - a detoxifying bath soak. Of course a balanced diet, juicing and exercise are all great long-term steps towards healthy living and naturally detoxing the body, and should be a goal for each of us. However, baths soaks can. For immediately addressing committing to a regular detoxifying bath soak is an easy and effective tool for help your body's systems both flush toxins and remineralize - while, at the same time, allowing you to the time to relax and de-stress. Committing to a regular soak, not only helps to boost our health and well-being, but it also strengthens our immune system and keeps our body systems balanced and healthy. • And of course… flush toxins. Purple Essentials Bath Soaks are an all natural holistic therapy for your skin, senses and wellbeing. Our Bath Soaks are formulated with Epsom Salt also known as magnesium sulfate, Dead Sea Salt, Pink Himalayan Salt, Sodium Bicarbonate a variety of mineral rich all natural clays and pure essential oils, from all over the globe. While the salts help to add magnesium and important minerals back into the body, the clay particles actually pull the toxins out of the body and into the clay molecule. Aromatherapy benefits come from inhaling and absorbing the effects of the pure essential oils. 1. It's important to hydrate yourself with filtered water before and after. *TIP - Citrus water is a great option. 2. Pour approx 1 cup of Bath Soak under running hot water and fill tub. Ideally, the water should be quite hot - hot enough to create a sustained, gentle sweat. 3. Immerse yourself up to neck for 20-30 min. Relax and let the ingredients do their thing … but remember to breathe deeply & enjoy the aromatherapy benefits of the chosen blend. 4. Remember to avoid using harsh soaps or shampoos during your detox soak, as your pores are open and can more easily absorb the chemicals found in those products, directly into your body. 5. Once you are done soaking, rise out of the tub very slowly and cautiously. You may feel a little dizzy and light-headed. *TIP - This effect can be minimized by drinking a large glass of lemon water while soaking..
6. Once dry you can apply a natural moisturizer like Purple Essentials Mango Body Balm or Whipped Body Crème, being careful to avoid lotions with perfumes, dyes or chemicals. 8. Allow time after your bath to rest and rejuvenate. The recommended follow up to a Purple Essentials Bath Soak is going straight to bed - allow your body to enter its nightly "rest & repair phase". Relaxation and sleep will ease your detox effects. What a wonderful experience awaits ... Enjoy & Live Well! 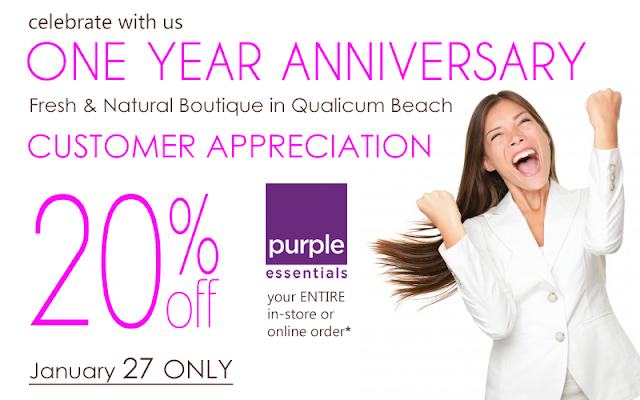 Celebrating One Year in our Fresh & Natural Boutique! WOW - it's hard to believe we are already celebrating one year in our Beach Road location ... time flies when you are doing what you LOVE! REMEMBER, "Fresh is Best"! While stocking up may seem like a good idea, to best enjoy our Fresh & Natural products, we recommend only buying what you need for the next 3-4 months. If you are in the neighbourhood, stop in for samples, snacks & sips ... bring a friend! 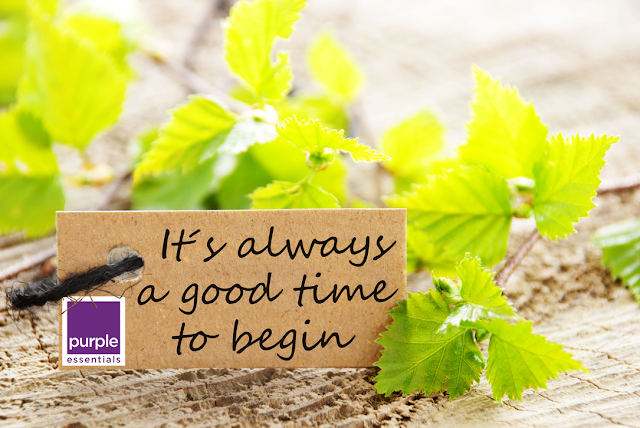 Thank you for being a part of the Purple Essentials family! **Valid in-store or online Saturday, January 27th only - 11am to 5pm in-store & 24hrs online. No rainchecks - while supplies last. Does not include aromatherapy diffusers, gift packages/kits, sale items, special orders or gift cards. Cannot be combined with any other offers. Limit of 1 Facial Elixir and/or 1 Rejuvenating Serum per order.